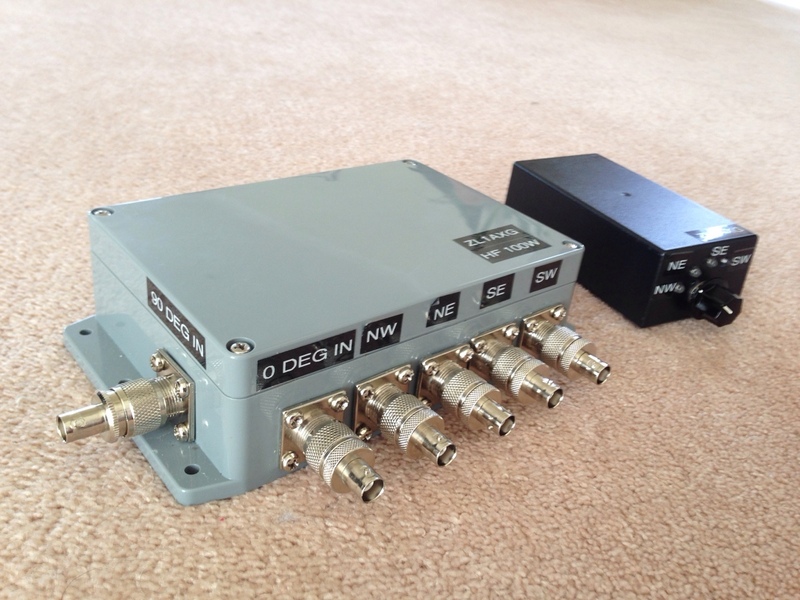 The QHUG remote HF station site has yet to be finalised. However, a couple of sites are being actively investigated. The plan is to install four square antennas on the lower bands (80m, 40m and probably 20m) and to use fixed yagi antennas for higher bands. Much of the cost of low band antennas is in buried radial systems. Remote switching equipment is also being built. This includes four square switches and antenna switchs. Arduinos are being used at remote and base station to provide a physical controller at both ends. Bernard ZL2BD has designed the hardware and Frank ZL2TTS has been designing software.